He is, as I have said before, so lovely. Charlotte is two next week and I find myself wondering where the time has gone! They are really cute,his got lovely blue eyes,and a cheeky smile. Lovely pics. They are little angles when their sleeping! very cute pics claire, he looks a real sweetie!! bloody hell, when did he grow up. last time i seen him he was only about 6mths old. 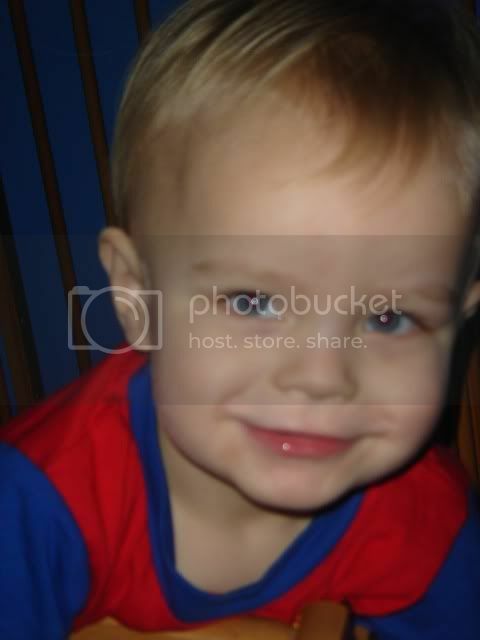 kristy - he was 13 months at the m&b thingy which does seem like soooooooooooooo long ago ! he really a big boy now , grown up so much since then! and is nursary 2 days a week, and he just lvoes it there !